Since mid-2017 we've been talking about the impending arrival of USB 3.2, the next version of the USB Implementers Forum's ubiquitous standard for connecting external devices. With 3.2 serving as both an upgrade to the feature set and a physical layer tweak to provide more bandwidth, according to the USB-IF at MWC 2019, the technology will finally come to fruition this year. According to the organization that sets the standards for the USB interface, discrete USB 3.2 controllers capable of supporting the standard's new 20 Gb/s Type-C mode will be available this year. Being a specification-setting group, the USB Implementers Forum does not name companies that develop actual chips. But given the limited number of companies that develop standalone USB controllers, the names of the suspects are pretty well known. Since discrete USB controllers are used mostly by high-performance desktop systems, we're likely to see the first USB 3.2 chips to land on high-end motherboards first. In which case we could see motherboard venders showing off product sometimes this summer, or maybe a bit later. Meanwhile peripherals will likely lag a bit for compatibility testing and the like, in which case we'd start seeing them in 2020. Though technically only a point upgrade for the USB standard, USB 3.2 includes multiple enhancements for the standard in terms of bandwidth, as well as changes to how the standard is branded. 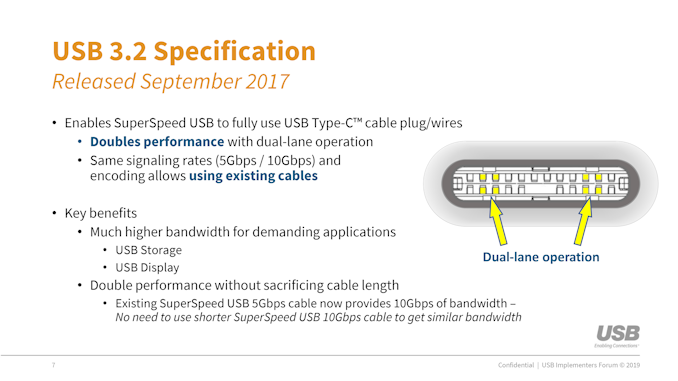 In terms of bandwidth, USB 3.2 introduces the ability to use two high-speed USB Type-C Tx/Rx channels – the so-called x2 mode – to get 20 Gbps maximum throughput on a Type-C cable. The technology retains the USB 3.1 physical layer data rates and encoding techniques (SuperSpeed and SuperSpeed+), so while bonding two channels is new, how those individual channels work at a low-level is not. 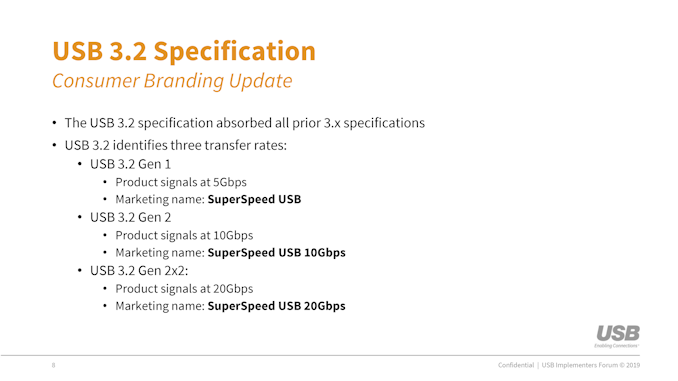 Meanwhile, USB 3.2 branding will be absorbing the earlier USB 3.0/3.1 branding, as the overriding USB 3.x standard continues to evolve separately of the underlying SuperSpeed encoding technique. 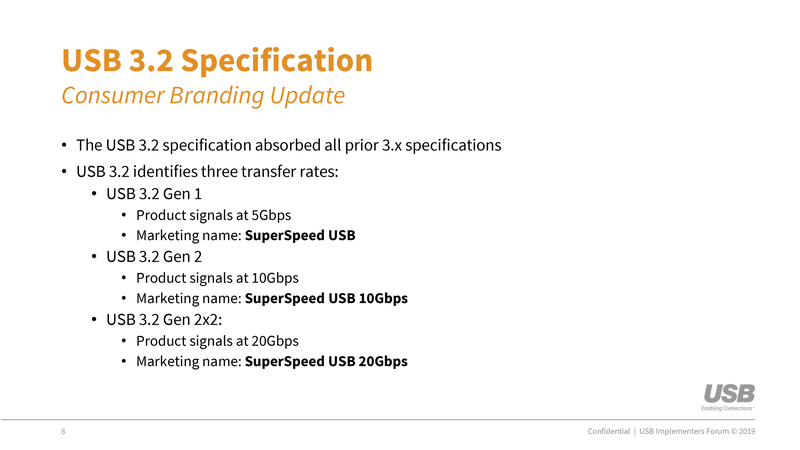 As USB 3.2 hosts and devices roll out on the market, we’ll see the branding switch over to USB 3.2 Gen 1 (5Gbps SuperSpeed), USB 3.2 Gen 2 (10Gbps SuperSpeed+), and USB 3.2 Gen2x2 (2x10Gbps SuperSpeed+). So while all future products will be 3.2, they won't necessarily support the higher 10Gbps and 20Gbps data rates. Those decisions are up to the device manufacturer, especially as not all devices need the higher speed modes and the increased build costs that come with them. Thunderbolt has been in Intel's chipsets since Skylake. 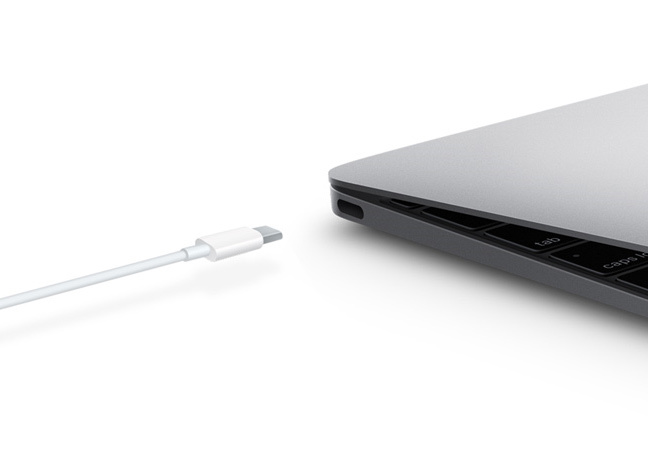 So the possibility is there, but then you'd be complaining the Thunderbolt port doesn't power your devices anymore. Thunderbolt 3 is not included in any shipping Intel chipset as of today. It still requires an additional DSL/JHLxxxx chip on the motherboard.